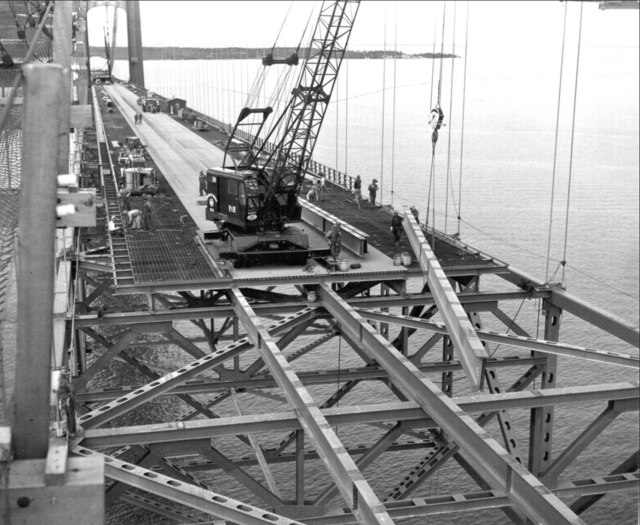 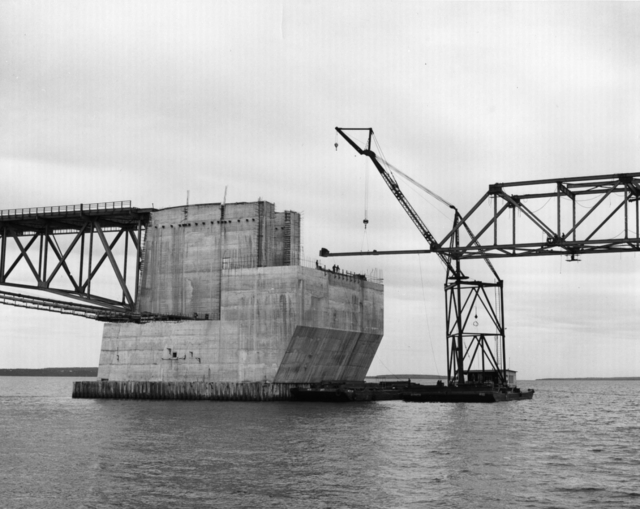 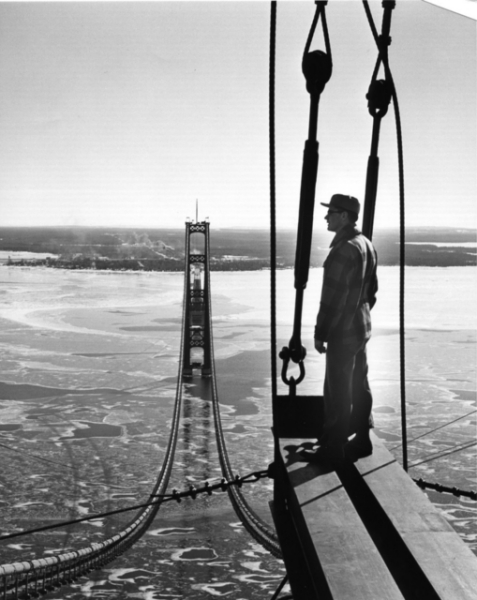 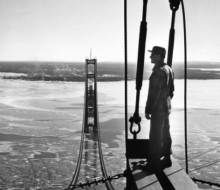 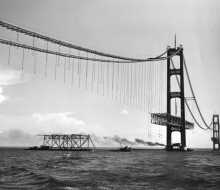 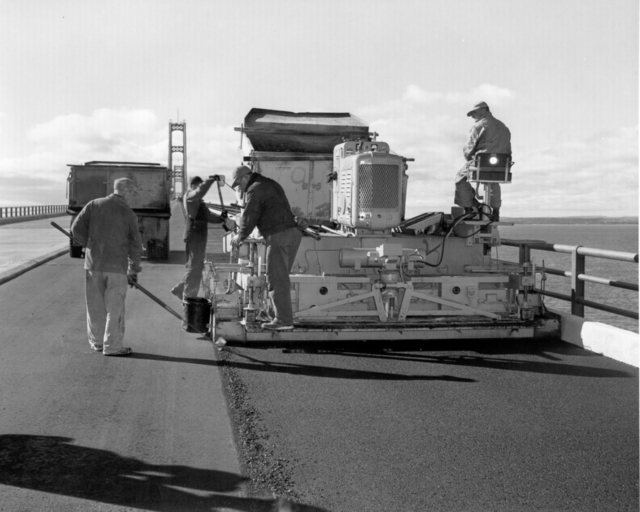 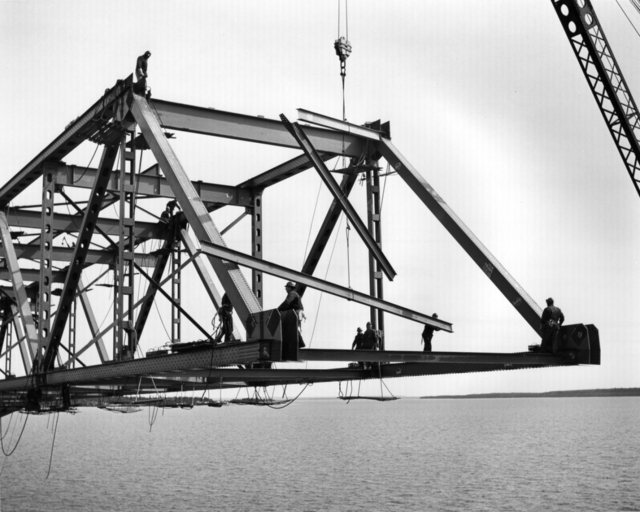 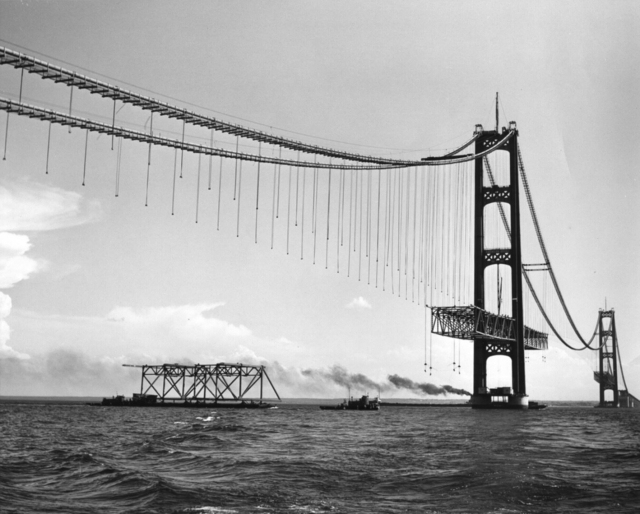 Mr. Ellis supplied the basic photography for three twenty-eight-minute 16-mm color sound films: “Mackinac Bridge Diary” for the American Bridge Division; “Getting a Toehold in the Straits” for Merrit-Chapman & Scott; and a promotional film for the Pre-Pakt Concrete Company. 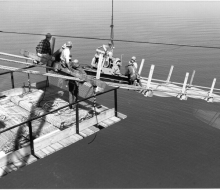 Mr. Ellis had two assistants, Mickey Duggan and Harold Bell. 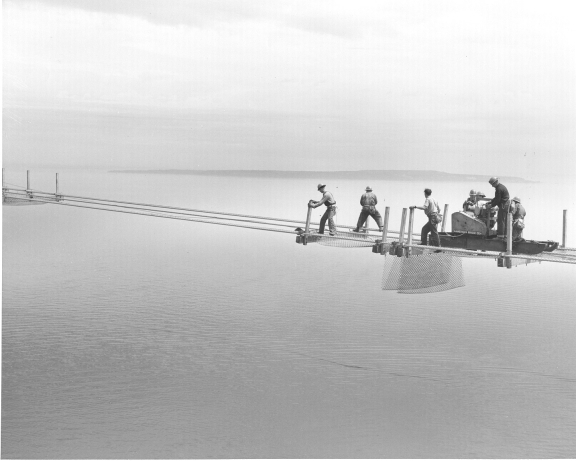 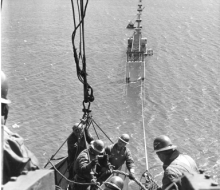 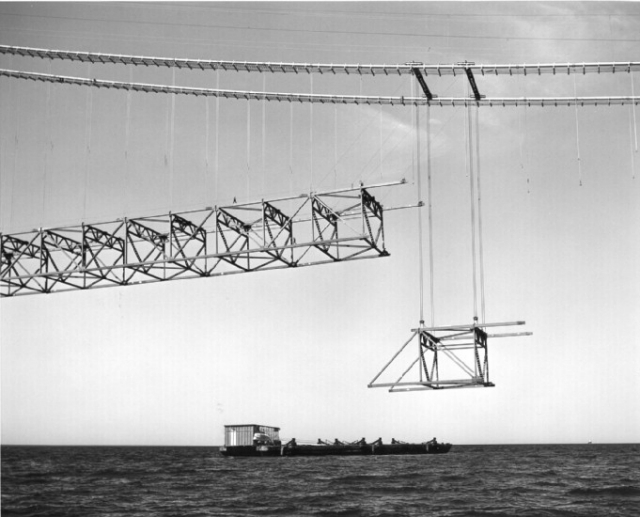 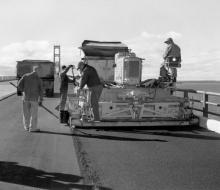 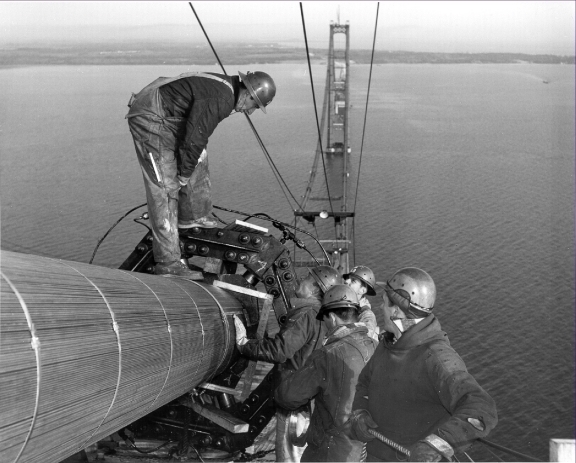 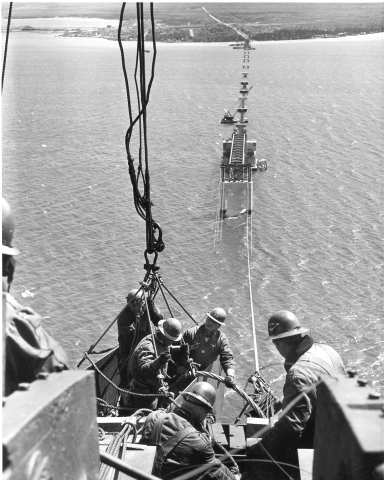 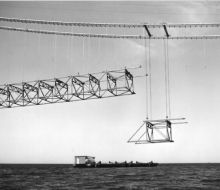 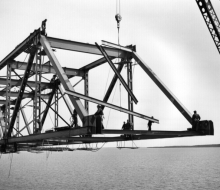 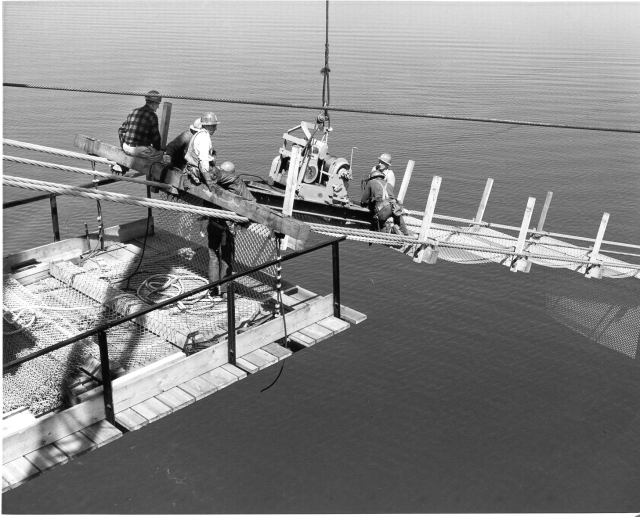 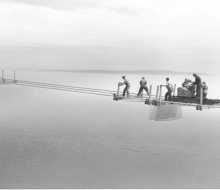 Here is just a sampling of some of the still photos taken by Mr. Ellis and his skillful and daring crew during construction of the Mackinac Bridge.